Without the dedication and passion of the dental community, the advancements of cosmetic dentistry would not be where they are today. 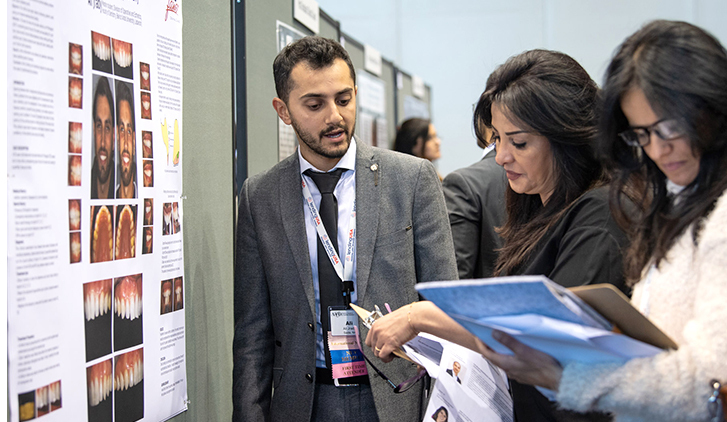 The AACD Poster Competition creates an outlet for undergraduate and postgraduate students, junior dental faculty, along with clinicians and researchers, to share their scientific findings and to promote greater interaction within the dental community. Click here to download grading criteria for the poster competition. Click here to download a sample poster. Selected papers will be given the chance to display and/or present. All selected individuals must be present for the poster competition, failure to do so will lead to the poster being disqualified from the competition. Abstract: Please submit an abstract of no more than 100 words describing your case presentation Type and outcomes you have tried to attain. There should be some description to the types of materials used and disciplines involved in the final result. Note: Your abstract must include a title, name of your university, your name, your address, phone number, and e-mail address. Abstract: Please submit an abstract of no more than 100 words describing your Hypothesis, Problem, Methods and Materials used. You should also include the names and manufacturers of and materials used in the study. Only In Vitro (Bench Top) cases will be accepted. Details and description as to how the study was run, discussion as to any previous work in the area including citations will be required. The final results attained and their clinical relevance in esthetic dentistry will be of importance in the final evaluation of the project. Note: Your abstract must include a title, name of your university, your name, address, phone number, and e-mail address.  Individuals submitting a materials science poster may choose to present data/charts to support their abstract, but it is not required. Any work shown, not the author(s) of this poster, must have references as to origin. Your abstract, any supporting materials, and a copy of the AACD Poster Competition Submission Form, must be submitted to university@aacd.com no later than midnight, Central Time, Monday, March 11, 2019. A signed copy of the AACD Poster Competition Submission Form MUST accompany all abstracts. Failure to do so will result in disqualification. ALL POSTER SUBMISSIONS MUST HAVE FACULTY APPROVAL. Signature on the submission form or via email to university@aacd.com. AACD Membership is required for all posters selected for the poster competition/ or display only. Deadlines will be strictly enforced – no exceptions. Poster abstracts submission acceptance will be sent via e-mail along with registration instructions. Posters will be judged by a panel of AACD members unaffiliated with the Credentialing arm of the Academy, on-site at the annual scientific session in San Diego, California, April 25, 2019. In consideration that participants are beginning to explore education in cosmetic dentistry, the AACD Credentialing standards will not be applied to the judgment of this poster session. Recognition in the poster session does not imply compliance with the AACD's Credentialing Standards nor does it imply achievement of Accreditation or Accreditation-level dentistry. Winners will be determined and All Poster Award Winners should be prepared to give a 15-minute verbal PowerPoint presentation on their poster to present on Saturday, April 27 at AACD 2019 Student Day in San Diego. Be sure to include the abstract title, author name(s), and the institution, if applicable, where the work was completed, in large letters centered at the top of the poster. Abstracts should include a concise introduction describing the purpose of the poster, as well as a brief description of the methods, results, and conclusions. The poster competition is a graphics presentation of an author’s work using graphs, photographs, diagrams, and any sample educational materials developed on a poster board. You will be responsible for mounting your own poster prior to the poster session and removing your display materials after the session. FedEx Office Scientific Poster Service. Save the hassle of traveling with a cumbersome poster by using FedEx for hi-quality, full color scientific posters. A 48-inch x 36-inch full-color poster will cost approximately $48 plus applicable taxes. Posters should be collected at the FedEx Store located on the Lobby Level across from Hall-D. FedEx hours are: Mon-Fri: 8am to 5pm / Sat-Sun: 9am to 5pm. Posters should be collected at the FedEx Store located on the Lobby Level across from Hall-D. FedEx hours are: Mon-Fri: 8am to 5pm / Sat-Sun: 9am to 5pm.Click here to take advantage of this FedEx offer. Presenters, who decide to hand-carry their poster to the scientific session, are recommended to use tubular packaging or a portfolio case. Handouts are encouraged to supplement your poster. Presenters are highly encouraged to be near their displays to discuss their work with attendees throughout the poster session. They must however be present during the 2 hours that the posters will be judged. The timing for the viewing of posters and actual judging will be provided the day of set up. Posters should allow for a short presentation and stimulate discussion. Therefore, keep text to a minimum, emphasize graphics and photos, and make sure every item in your poster is necessary. Draw a rough sketch of your poster first. You may find it helpful to use graph paper and post-it notes to better visualize where the components of your presentation will go. Materials must easily be read from a distance of 4 feet. Ordinary type or carelessly prepared handwritten copy is unacceptable and will not be displayed. Use a font size of at least 26 point and double space. Space your information proportionally by dividing your poster either horizontally or vertically into three or four sections. Then place related materials (e.g. photograph with accompanying text) close together and highlight it by framing with blank space. Friday, April 26, 2019 in the Exhibit Hall from 8:00 am - 10:00 am. Monday, March 4, 2019 to university@aacd.com.  The awarded school must be an AACD University Educators’ Forum School and have a representative at the AACD 2019 San Diego University Educators' Forum. The Awarded School must present the award to the Senior Student at the graduation ceremony or at an appropriate Awards Ceremony where comparable awards are presented. They must send a photo of the student receiving the award to the AACD at university@aacd.com by June 3, 2019. The award winner must be present at AACD 2019 San Diego located in the exhibit hall [a Poster Competition area will be designated with a sign on the poster boards for Honorable Esthetic Achievement Poster Students Award (HEAPS)]. The Award will only be available to the first 20 schools that identify a senior dental or postgraduate student (candidate may be enrolled in that schools Advanced Education Program and already has a DDS or DMD Degree) that is judged by the school to have performed the best esthetic clinical case outcome. This will require that the case follow these criteria. It should include an abstract and color photographs of the full poster in digital format (PowerPoint best). The files must be electronically sent to the attention of Poster Session Coordinator, AACD Executive Office, 402 W Wilson St., Madison, WI 53703 or email by Monday, March 11, 2019. The student judged by the individual University Educators’ Forum School will upon completion of the above four stated conditions receive a Certificate from AACD and a monetary award of $500 USD.